While her bookstore, Haven't Got a Clue, is rebuilt following a devastating fire, Tricia Miles and her sister, Angelica, decide to book a cruise for some much-needed R&R. 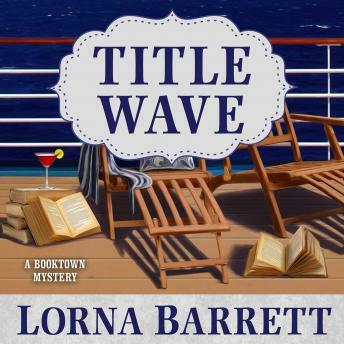 Naturally they choose a Mystery Lovers cruise, where they can ponder whodunnit in deck chairs while sipping colorful drinks and soaking up some rays. But the fun is cut short when a fellow passenger is murdered for real. Is the killer a famous mystery author, one of his fans, or a member of the ship's crew? As Tricia tries to find the killer before they reach port, she may be cruising for a bruising . . .